Black is a staple colour in kitchen design. Every kitchen is likely to house to some black, in the form of appliances, work surfaces or utensils. 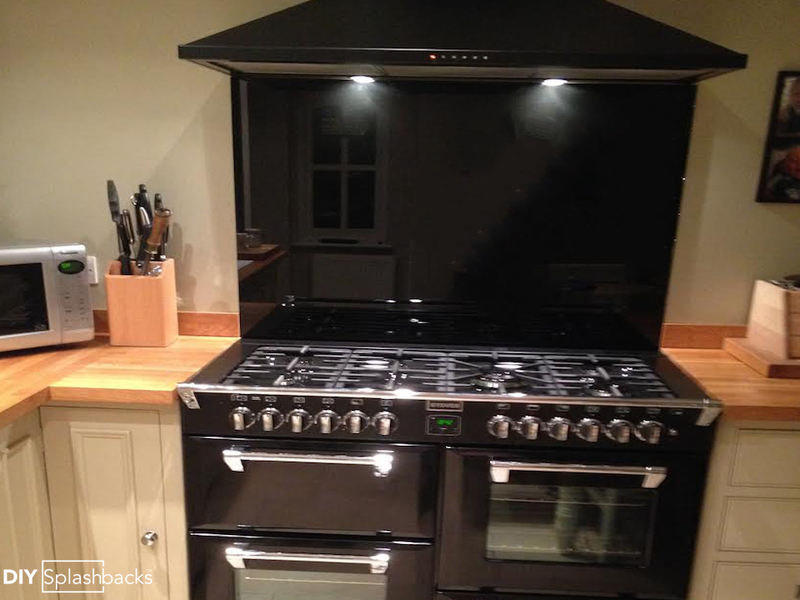 Black glass splashbacks add impact to a space, and are becoming increasingly popular above black range cookers. Often considered too intense for fully fitted splashbacks, many homeowners add black behind their cooker or sink with paler colours around the walls. “Cooking is like love, it should be entered into with abandon or not at all”. 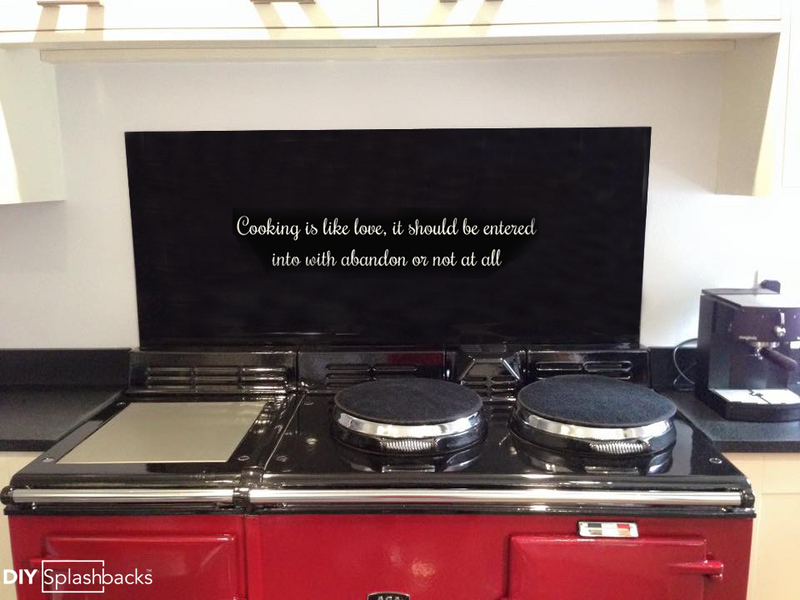 This homeowner commissioned their favourite verse on their Aga Splashback. They matched the intensity of their Aga top, with the ivory of their kitchen cabinets to achieve a coordinated look. Our experienced Design Team can work with you to create a glass splashback that is completely unique. Finding the right design can be as easy as exchanging emails with the Design Team until you achieve the look you want. Whatever your inspiration is, we can make it. Read our article on Aga Glass Splashbacks. There is little to be said for finding the right shade of black. Black has the fewest shade variations across all colours and paint ranges. A RAL Black won’t look much different than Farrow & Balls Pitch Black. Chances are, you won’t even need to order a sample. One thing you should consider with black however, is adding a contrasting sparkle. We offer Silver, Gold, Turquoise, Pink and Champagne Sparkle in our glass splashbacks. The above image (although poor quality) shows our fine silver sparkle. If considering sparkle, we would recommend ordering a glass sample. 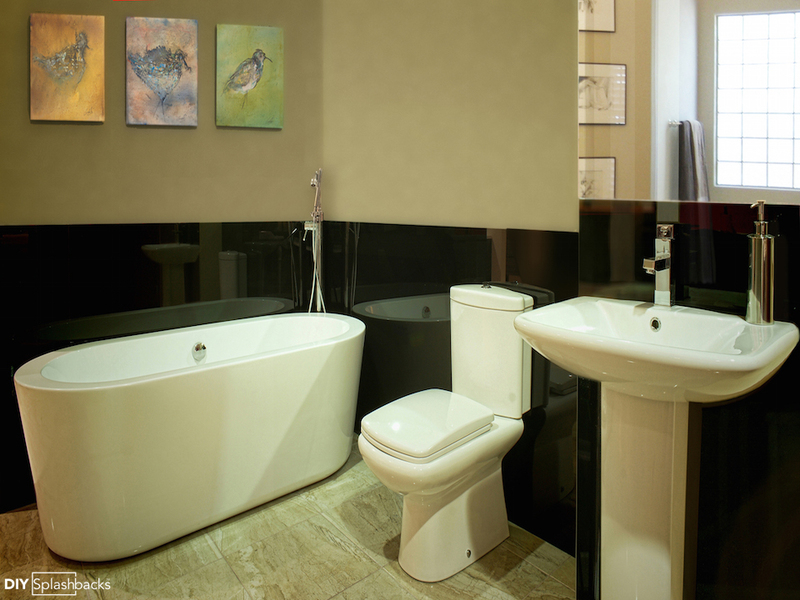 We couldn’t talk about black glass splashbacks without showing you this stunning Art Deco inspired bathroom. Glass Splashbacks are an easy-clean alternative to tiles in a bathroom. This home owner opted for half-glass walls in Dulux Rich Black through our Fitted Glass Splashbacks. Bathrooms have one advantage over kitchens when fitting splashbacks, and that’s no plugs! With the exception of crooked walls, glass is a relatively easy-measure and easy-fit material, than can be fitted without the need for a tradesman. 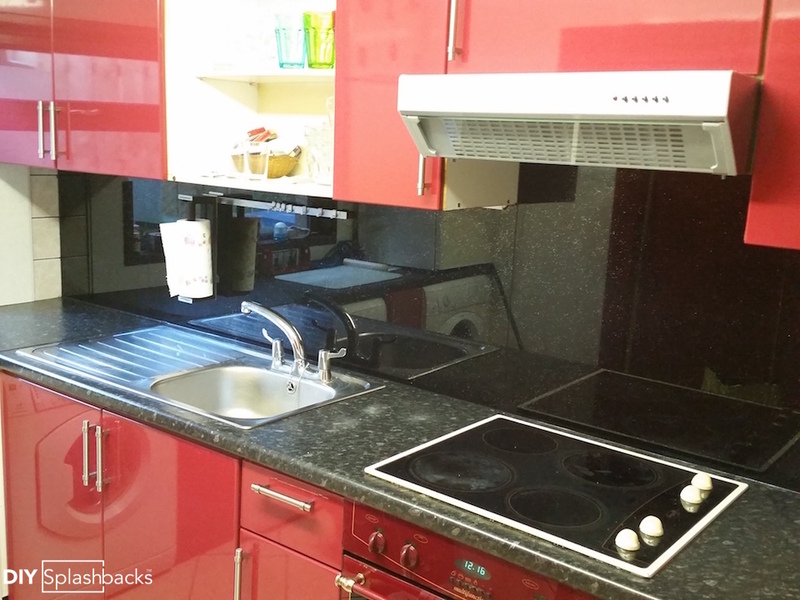 To find out how to measure and fit for glass splashbacks, read our splashback instructions.